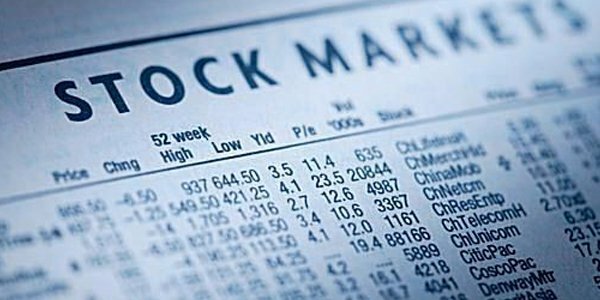 U.S., Canadian Stocks End November on Solid Footing - Inukshuk Capital Management Inc.
December 5, 2017 /in Market Update /by Inukshuk Capital Management Inc.
U.S. stocks ended the month of November at record highs, with the Dow Jones Industrial Average closing above 24,000 for the first time. North of the border, Canadian stocks rallied by the most in two months as energy shares rose following a renewed commitment from OPEC to extend output cuts. After a volatile first half, Wall Street ended November in positive territory, with the Dow, S&P 500 and Nasdaq all hitting record highs. The Dow surged 331 points on Nov. 30 to close at 24,231.59. The S&P 500 advanced 0.8% to finish at 2,647.58. The technology-heavy Nasdaq added 0.7% to 6,873.97. All three major indexes gave back some of their gains in the first session of December, as political turmoil surrounding the Trump administration tempered risk appetite. Interestingly, Wall Street’s latest record run was accompanied by a sharp rise in volatility. The CBOE VIX Volatility Index rose for five straight sessions through Dec. 1 to end at its highest level in over two weeks. November was a highly volatile month for Canada’s benchmark stock index. After hitting record highs, the S&P/TSX plunged to multiweek lows. It would later recover only to fall again in the final week of the month. However, the Nov. 30 trade session was the TSX’s best in two months thanks to an upsurge in energy stocks and better than expected earnings from the Canadian Imperial Bank of Commerce (CIBC). The TSX has returned nearly 5% this year, and is trading around half a percent below its record high. By comparison, the major Wall Street averages have gained between 18% and 27% this year. After a much better than expected first half, the Canadian economy cooled significantly in the third quarter as weaker exports weighed on overall growth. Gross domestic product (GDP) expanded at an annualized rate of 1.7% in the third quarter, Statistics Canada reported last week. That followed a downwardly revised gain of 4.3% in Q2. Despite the slowdown, the economy continued to add jobs at an accelerated pace last month as November employment rose by 79,500. The unemployment rate ticked down to 5.9%, the lowest since 2008. Both the Bank of Canada and the Federal Reserve have policy meetings over the next two weeks. Expectations for Canada’s central bank interest rate target are unchanged at 1.00%. The market is pricing a 90% chance the Fed’s Open Market Committee raises the target overnight rate by 0.25% to a 1.25% to 1.50% range. Reuters (November 30, 2017). “The close: TSX rises most in 2 months as energy stocks rally.” The Globe and Mail.